Posts Tagged "Photo Eric Deniset"
Home » Posts Tagged "Photo Eric Deniset"
1997. A short style way up there, ahead of its time. By the legendary John Sahag. 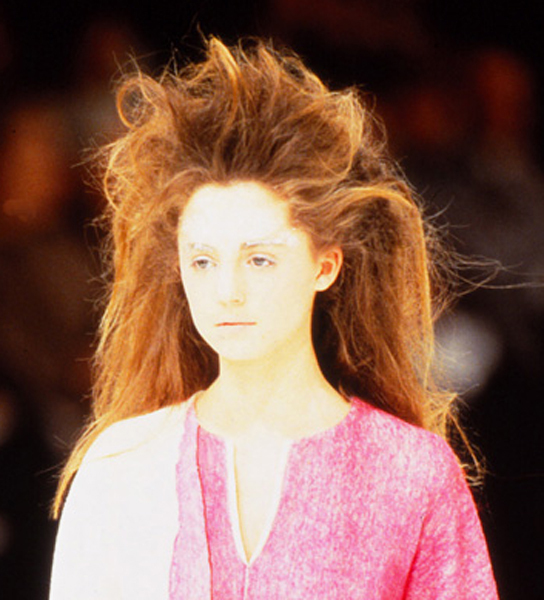 for Issey Miyake’s Fall Winter 1997 Fashion Week Show in Paris. Exaggerated volume which makes the hair look windswept in a very throw-away, natural manner,” John Sahag said of the “amazing shapes” he designed for the show.